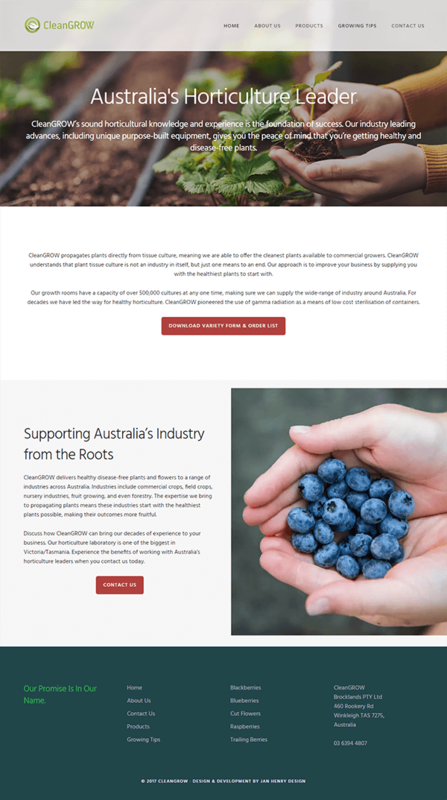 CleanGROW in Australia recently changed ownership, and my client wanted to refresh the website from its previous design. The previous design was a basic HTML/CSS website, and hadn’t been updated in several years. The website was also not mobile responsive.The logo design was already in place, and I used the colour scheme of the logo to develop an overall colour scheme for the website. The new site was built on the WordPress platform, offering the client the ability to easily make updates on their own. 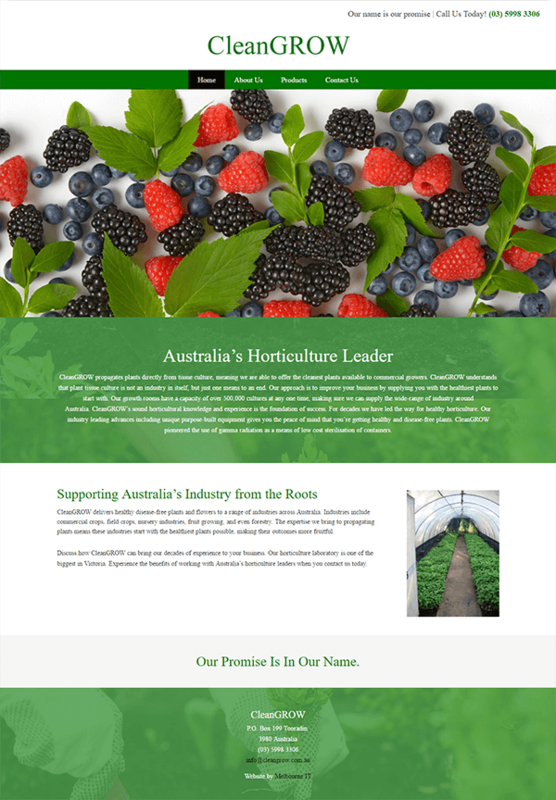 The result was a clean, fresh, and professional website with call-to-action buttons throughout the pages.